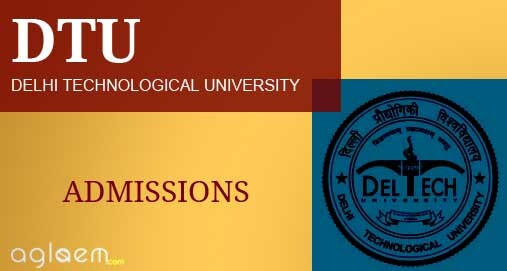 DTU B.Tech Evening Application Form 2018 – Delhi Technological University has issued the application form for admission to the first year of the four year B.Tech. (Evening) Degree Program in Civil, Mechanical, Electrical, Electronics & Communication Engineering, for the academic year 2018-2019. There is no off-line mode of application submission. All candidates require to fill the application form in online mode only Candidates are advised to read carefully eligibility criteria and other details before submitting the DTU B.Tech Evening Application Form 2018. Latest: DTU 2018 application form has been released. Candidates can check for the same from below. DTU B.Tech Evening Application Form 2018 has been released on the official website of DTU. 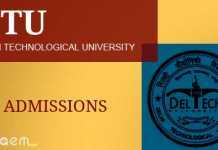 All candidates seeking admission to B.Tech (Evening) programme in DTU for the year 2018 will required to fill the application form from www.dtu.ac.in or through the direct link which is provided on this page. Click here to register for DTU B.Tech Evening Application Form 2018. Click here to login for DTU B.Tech Evening Application Form 2018. The steps to apply for DTU 2018 Application Form are listed below. 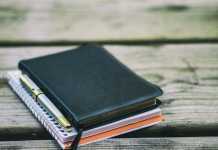 Candidates can go through with these following steps. Firstly, Click on the direct link given on this page. Register yourself online by entering your Name, Programme applied for, E-Mail ID and Password. After Registration, Click on the Online Application link. Candidate needs to login for Application form by providing User ID and Password. Submit the form well in time without waiting for the last date and avoid the inconvenience at the last minute. If a candidate selects option: B.Tech (Evening) programme (OPEN category) only, he/she will NOT be eligible for admission in B.Tech programme (Lateral Entry). Similarly, If a candidate selects option: B.Tech programme (Lateral Entry) only, he/she will NOT be eligible for admission in B.Tech (Evening) programme (OPEN category). Candidates applying for B.Tech (Evening) programme (SPONSORED category) must select appropriate BRANCH/Department accordingly to their department of Diploma. Candidates applying for B.Tech (Evening) programme (OPEN category)/ B.Tech programme (Lateral Entry) must select NA in BRANCH/Department option while filling on-line application form. The Registration Fee of Rs. 1000/- for Gen/OBC and Rs.500/- for SC/ST/PWD, is to be paid online through credit/debit card /net-banking at the time of registration and choice filling. The registration shall not be complete without the payment of refundable and would not be adjusted towards any other fee. A convenience charge (Online Transaction) will be extra as per banking gateway on every online registration fee payment.